It’s the question that comes up seemingly every year and I’m here to give you the answer before you get too far ahead in the thinking process. The question can be posed in one of two ways; “Is it time to draft Ben’s replacement?” or “Should we draft a QB?” The answer in 2018 is without question “NO.” There are several reasons as to why so let me explain. First of all, Ben Roethlisberger has already said he wants to play for another three seasons. Secondly, there are two relatively young quarterbacks on the roster already in Landry Jones and Josh Dobbs. Third, the Steelers currently have no selections in rounds four and six in the April Draft. That means there is no room to experiment with drafting another QB. 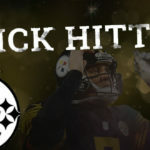 We saw what happens when we blow a draft pick on something that really did not need to be drafted last year when they selected long snapper Colin Holba in the sixth round. He was beaten out and was released. That selection could have been used on any number of other positions. No such luxury exists for the Steelers this year. Therefore, there is ZERO need for a quarterback to be drafted in 2018. 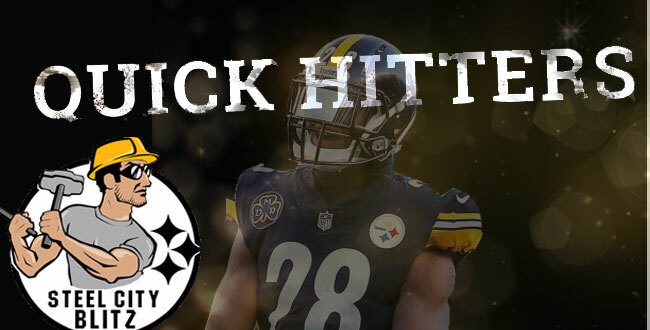 Special Edition of the Steel City Blitz Podcast presented by 26shirts.com/Pittsburgh tonight. Ian will join me to give me his latest opinions on his study of “Bracketology.” Ian routinely ranks among the top experts in the country when it comes to selecting the field of 64. Tweet of the Day… This sounds like a very nice gesture! If you are interested in being a part of SCB as a writer or or if you’re into graphics please email at contactscblitz@gmail.com. We are looking to expand a bit! February 20th is fast approaching. This is the day when teams can first start tagging Franchise or Transition players. For the Steelers, it’s the day the clock begins on what to do with Le’Veon Bell. My own personal opinion is that they will place the “Non-Exclusive Franchise Tag” on him. This means he can reach a deal with other teams but that team would have to give the Steelers two first round draft choices. What is more likely is for the team to tag him, have him work out a deal with another team and then agree on compensation that isn’t quite as severe as two first rounders. Obviously the main goal is a long-term deal right now, I’m very much on the fence as to whether it gets done. For all the talk about the needs at inside linebacker, is there any scenario where the Steelers draft an edge rusher? Unless someone drops in their lap I don’t think so but I’ll have more on this tomorrow.